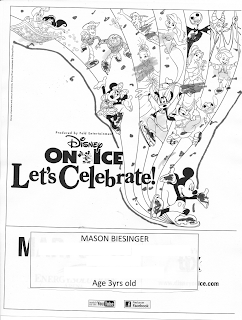 Her 3 year old coloring page was chosen at random as the winner of a family four-pack of tickets to see Disney On Ice Let's Celebrate! Remember, there are still two more family four-packs to give away! If you have not entered, make sure you get entered as soon as possible! 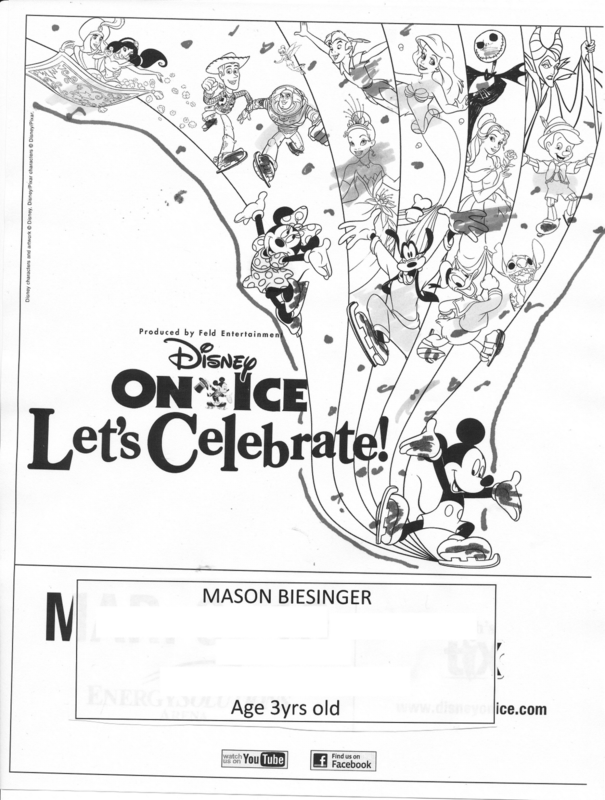 Congratulations Mason Biesinger, and enjoy the show! Thank you. Mason is soooo excited to see Mickey Mouse. :) I love your website, thank you for all your hard work..